Foundation for Filipino Artists, Inc.
Free DHTML scripts provided by Dynamic Drive. The Foundation for Filipino Artists, Inc. (FFAI), is a non-profit organization under IRS 501 (c) (3). Its mission is to help artists to promote and develop human awareness, cultivate the utmost potential of people to be able to take on leadership roles in training and human development towards global responsibility for the betterment of the global community and that in New York. Learn more about our organization and what it has to offer. Visit the Support page to see how you can contribute to the FFAI, the community, and the projects, such as the future community center, the summer program, and the after school program. 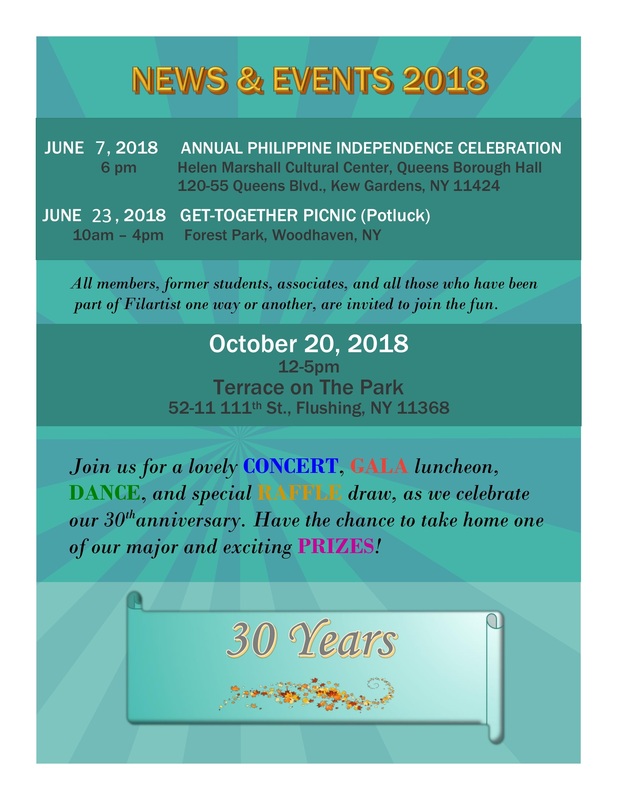 Since its inception in 1988 the FFAI has actively served the local communities in offering different programs to promote Filipino artistry and creativity as well as multi-cultural understanding and interaction. The Foundation has successfully acheved its goals especially among the youth and the senior citizens, and will continue to do so. We look forward to expanding our projects to include community and humanitarian services, such as providing educational counseling (by appointments only), immigration and legal services, and aiding the typhoon victims. The Foundation for Filipino Artists, Inc., is committed to building our artists to build our communities. Future Multi-Cultural Community Center: For the FFAI's programs, space is needed. Please donate to help build a multi-cultural community center in New York. Computer-based After-School Program: Homework and tutorial assistance for children with the help of today's technology. ©2018 Foundation for Filipino Artists, Inc.